Ilhan Omar: “Some people did something” on 9/11. Political opponents of these people have pounced upon their words, with all good reason. Their words are outrageous. Omar is downplaying the significance of Islamism and the death and violence it brought to the U.S. mainland. Recognizing that fact is not anti-Muslim, nor it is Islamophobia. It is simply pushing back against a whitewashing of recent history. Bolsonaro is hinting that his association with Israel may be grounded less in any understanding of the travails of Jews than immediate geopolitical benefits. This is important, because the motivations of allies, particularly newly minted ones, can be an indication of how strong any potential alliance might be. Trump is suggesting that he would appreciate the U.S. military using physical force of indeterminate nature against unarmed civilians. In all of these cases, their words display attitudes which are at odds with their official intent. In each instance, their supporters are rallying around them, explaining away the statement as misinterpreted and overblown and claiming cheap political attack by their opponents. Omar’s statement is the most damaging, because she is a mere Congresswoman. 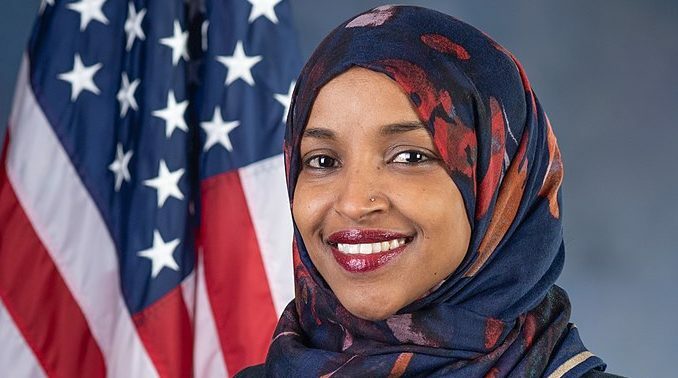 As a Freshman, she has very little influence; by making offensive remarks, however, she can draw national attention… and by framing every statement as sacrosanct, where any criticism equates to “Islamphobia”, she forces the rest of the party to address her agenda. If they rally to her defense, they push the party harder left and pro-Muslim; if they dismiss her, they risk the support of the increasing Muslim population. What is even more damaging is the rush to defend the statements by her supporters. Not necessarily the other politicians who are often reluctantly lining up, but the opinion writers and the rank-and-file keyboard activists who are strenuously insisting that she said nothing wrong. Just as we have seen a push away from traditional Republican values by repeated defenses of Trump… it was only three years ago when a gaffe about making troops attack civilians during a primary debate caused Trump to rapidly backpedal due to disfavor from his supporters, and there it was about civilians associating with known violent terrorists, not people trying to cross a border… there is a continued push to sanitize Islam from any criticism of Islamism. This is an effort which, if successful, could reap devastating consequences for our nation. Overreactions are unnecessary. Ilhan does not deserve death threats, any more than Bolsonaro should be accused of Holocaust denial or Trump should be said to want children crossing the border to be gunned down. What was actually said is damning enough; pretending it’s worse only gives a rhetorical opening to their defenders… and those defenders are where the greatest problem lies. They are the ones who are further splintering people away from each other, hindering reasonable discussion.